Opera. The word makes many cringe and yet those in the know swoon. Opera, perhaps much like oysters, makes people’s noses scrunch up even if they have never experienced it. 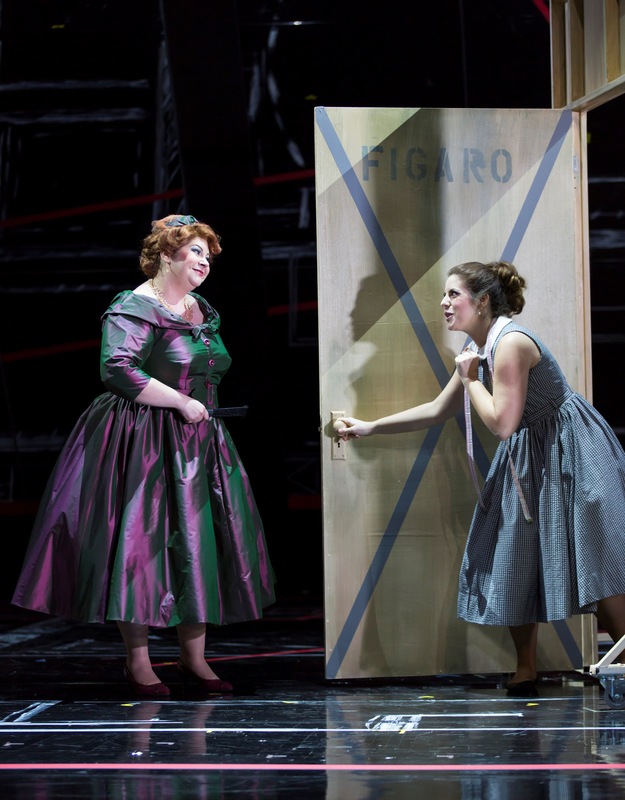 (l.-r.) Marcellina (Michelle Trainor) proves vexing to Susanna (Emily Birsan) in Boston Lyric Opera’s new production of ͞The Marriage of Figaro͟ running through May 7 at John Hancock Hall. Photo: T.
A couple of nights ago, I joined the TweetSquad (yes it is a thing), at the Boston Lyric Opera’s performance of Mozart’s Marriage of Figaro. The the set included huge panels of mirrors yet not a single one shattered or cracked. Instead, the magical sounds of the human voice filled the room. There was ‘you could hear a pin drop’ silence as delicate notes floated from the stage. The audience laughed (the Marriage of Figaro is a comedy) as other notes crescendoed in mockery, confusion and hilarity as the storyline unraveled. If you want to give opera a try, and I recommend you do at least once or thrice. Start with a full opera. Don’t be afraid. Just go in with an open mind. A comedy is always a good place to start, but if you prefer tragedies go for it. You can pick an opera whose music may be familiar. You’d be surprised how many opera tunes you know because they’ve been co-opted by car ads, cartoons, and such. To start with you may want a shorter opera 3 hours or so rather than those closer to 5. The Boston Lyric Opera, performing Mozart’s The Marriage of Figaro is opening tonight, April 28th at John Hancock Hall. The performance is laugh out loud funny and the talent is palpable. The production is creative with its staging and set design that is woven into the performance as a whole adding extra laughs and an appreciation of thinking outside the proscenium. The Marriage of Figaro is sung in Italian and there are surtitles throughout the theatre so they are easily legible. 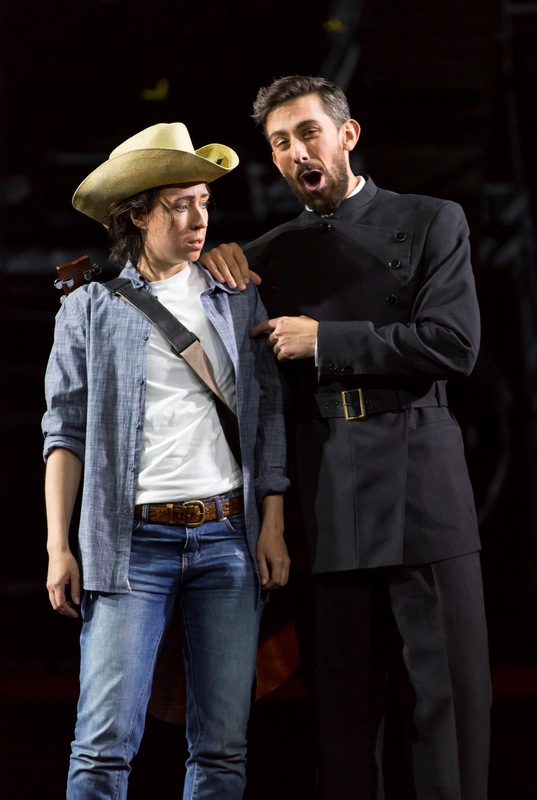 The Boston Lyric Opera puts on four operas each season and offer pre-performance talks as well as post performance “talk backs”. You can find out more about their performances and opportunites for students to see dress rehearsals on their website. The Marriage of Figaro runs through May 7th. Odyssey Opera specializes in more eccentric performances such as Roald Dahl’s Fantastic Mr. Fox in collaboration with the Boston Modern Opera Project (in 2014). They are finishing their season this year in June with an operetta by Gilbert and Sullivan Patience or Bunthorne’s Bride. This Saturday, Boston Conservatory at Berklee will be presenting a free children’s performance, El Gato Com Botas/Puss in Boots. Puss in Boots is being presented in association with Opera Hub and Puppet Showplace Theater. Performances are at 12:00 and 2:00 pm at Seully Hall. Over the river in Cambridge, Boston Opera Collaborative will be presenting Puccini’s romantic opera La Rondine reimagined. The space is intimate, the tickets are reasonable, and the opera is presented in a fresh new ways. Boston Opera Collaborative has a year-round performance calendar. Their repertoire includes both opera favorites and Boston premieres. 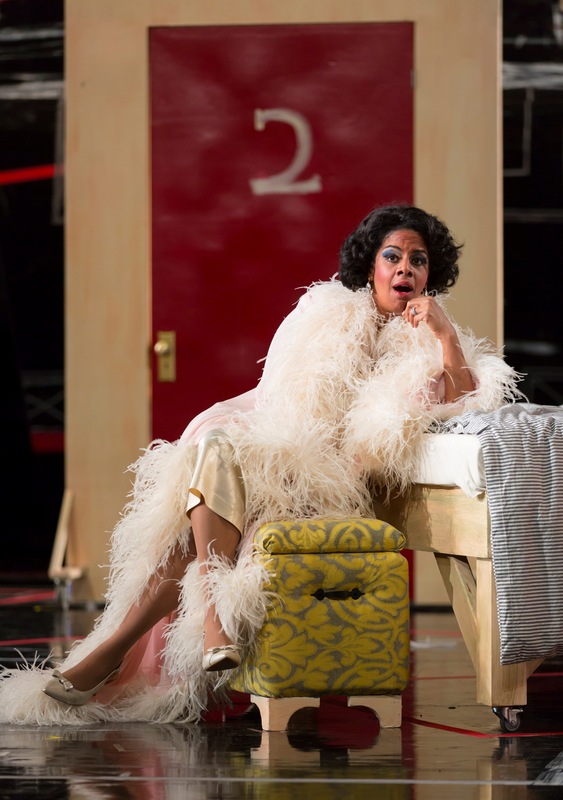 Puccini’s Opera – La Rondine: Remix opens May 13th and runs through May 21st. There is nothing like a live performance and I think the first Opera experience should always be live. On the other hand, if you really want to see an opera at The Met or The Royal Opera House and you don’t have the budget (in time or money) then settle into your seat and enjoy Opera at the Movies. Coolidge Corner Cinema in Brookline has a series: Opera at the Cinema that will take you from your movie theatre seat across the world to hear and see opera. Upcoming performances are: Puccini’s Madama Butterfly by the Royal Opera performed at the Royal Opera House in London (April 30th), Verdi’s I Due Foscari starring Placido Domingo performed at Teatro all Scala in Milan (May 14th), and Verdi’s Otello presented by the Royal Opera House in London. For a different opera at the Movies experience, AMC Theatres present The Metropolitan Opera Live in Cinemas. Most recently Tchaikovsky’s Eugeue Onegin was live on screen and opening in May will be Strauss’ Der Rosenkavalier. After I take my daughter to her 1st opera Boston Lyric Opera’s performace of The Marriage of Figaro (I’m hoping we can squeeze in a performance between her own ballet classes and showcase rehearsals. ), then I will probably take her to see her first longer opera live at the cinema. Then we’ll see if her grandparents will get us all tickets for the Met one day. Perhaps you are not ready for a full opera, but you want a little live music at a summer party you are throwing? Hire a performer from Boston Conservatory at Berklee and have the summer night air fill with arias. Lets go clubbing at the opera. Okay so that’s not exactly what it is but you can join the New England Opera Club and get to know what is going on in the area and learn more about opera. Sing together and see some unique operas presented by the North Cambridge Family Opera. This quirky little organization performs one opera every year and presents a program at the Cambridge Science Festival annually. The North Cambridge Family Opera is an opportunity for children and adults to be a part of telling stories through song, by performing original, entirely-sung operas and oratorios, with lyrics and music accessible and appealing to audiences of all ages.